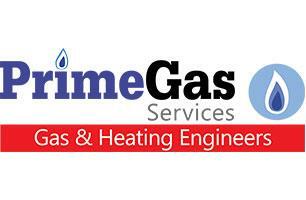 Prime Gas Services - Central Heating Engineer, Plumber based in South Shields, Tyne and Wear. Welcome to Prime Gas Services. If require cost effective, reliable gas and heating engineers then look no further. Operating throughout the Tyne and Wear areas we cater to all domestic and business client’s central heating systems, gas services and plumbing requirements. We have the knowledge and expertise needed to ensure that you receive nothing but the best service. Our reputation has been developed through hard work and reliability which is why we are the area’s number one choice for all your gas and heating needs. Some of the areas we serve..
Prime Gas Services carry out boiler servicing, replacement and repairs in all areas of North Tyneside, South Tyneside, Northumberland, Blyth Valley and Tyne and Wear. We have a fast response presence in Newcastle, Gateshead, Sunderland and Durham to ensure we can respond to urgent calls from our customers. For further information or to arrange an estimate please don't hesitate to get in touch, we look forward to hearing from you soon.